Matte white vinyl. English slogan. 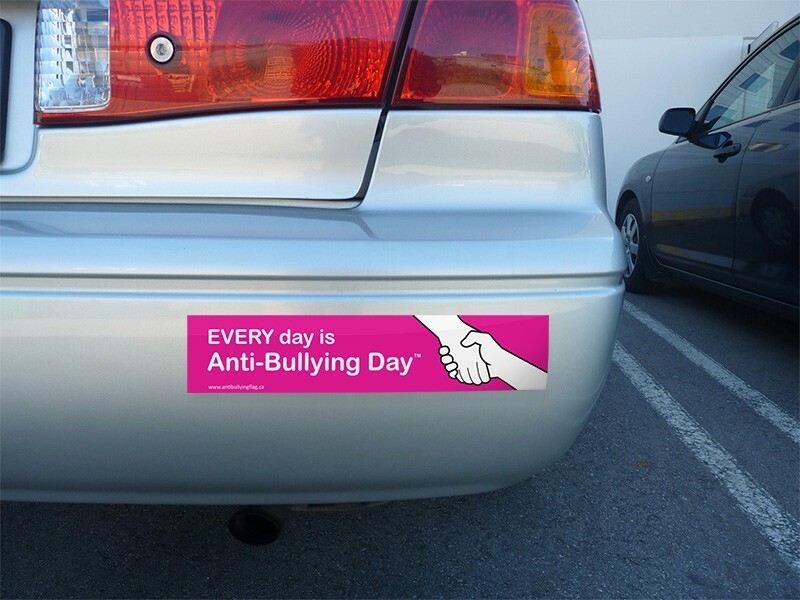 10.5" x 2.25" Anti-Bullying bumper stickers are printed on weather proof, matte white vinyl and made in Vancouver exclusively for The Flag Shop. – 100 to 499 stickers = $2.95 each.